What Makes Homemade Chai Curdle? Cardamom, cinnamon and cloves are used to make chai tea. 1 What Makes Homemade Chai Curdle? Chai is an Indian spiced milk and tea drink that can be served either hot or cold. Other names for chai tea are chai latte and masala chai. It is traditionally made with a variety of spices that include cardamom, cinnamon and cloves. These spices are stewed and then steeped with black tea. Depending on your taste, there are several different spices that you can put in your chai. Traditionally, cardamom is a dominant spice in chai tea. Cardamom comes from a ginger-like plant. The seeds and pods can be used whole or ground. It is also frequently used in curries. The second most common spice in chai is fennel, which is a sweet herb. The third most common spice in chai is cloves, which are small, brown, nail-shaped flower buds. Cloves are dried and used either ground or whole to enhance presentation and flavor when cooking. Cinnamon is also commonly used, and this sweet spice is usually obtained from the inner bark of a tree and sold in stick form. Darjeeling tea is commonly used to brew chai tea. It is a black tea with a floral aroma. Oranges or other types of fruit like figs or lemons can also add more flavor to chai tea. To make traditional chai tea, you will need six green cardamom pods. Put them in a pot. Then add 1 tbsp. of fennel or anise seed. Add 12 cloves and one cinnamon stick. Take a fresh ginger root and cut 1/4 of it off. Then slice that 1/4 piece very thinly. Add the slices to the pot. Next add two bay leaves and 1/4 tsp. of black peppercorns. Then add 7 cups of water to your spices in the pot. Turn your stove on high and let the water and spice boil for five minutes. Turn the heat off and let the spices steep in the hot water for 10 minutes. It is important to let the spices steep for 10 minutes so the water will acquire their flavor. Then add 2 tbsp. of loose-leaf Darjeeling tea. Let it steep for 10 minutes. Use a strainer to strain spices from the liquid into another pot. Add 1 cup of milk and 6 tbsp. of honey or brown sugar as sweetener. Heat it up on the stove, but do not let it boil because the milk will start to curdle. If you like more of a fruity flavor for your chai tea, you can add fruit to the spices before you boil. The Food Network suggests using orange peel in the chai recipe. First add six cloves, four cinnamon sticks and 1 tsp. of cardamom to a pot. Then add 4 cups of water and boil. Allow the mixture to steep for 10 minutes. Next, strain the liquid, return it to the pan and reheat. 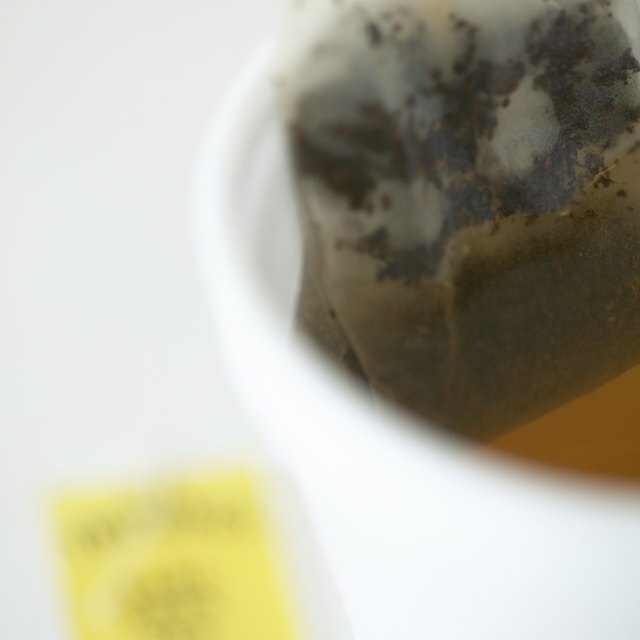 Add four black tea bags, 1 cup of milk, 3 tbsp. of honey and a half an orange peel and let it steep for five minutes. Heat the milk up until warm. Do not boil. Pour the tea into mugs and serve.